1. First of all – get Nraas Master Controller, Overwatch and Errortrap. I mean it – they will make half of your troubles go away before you can even notice them. Resetting a sim teleports him/her to their house with all their needs in green. a) Delete the CCmerged file, then uninstal and reinstall all your premium content – but only premium content. You can leave the rest alone. Then the CCmerged file will be reconstructed and averything should work fine again. b)Get the right working CCmerged file from here. The download link is at the bottom of the post called “Download ccmerged.zip“. It is perfectly safe to use it, no matter if you have one, a few or all premium content items. I’ve used it myself and it works like a charm. 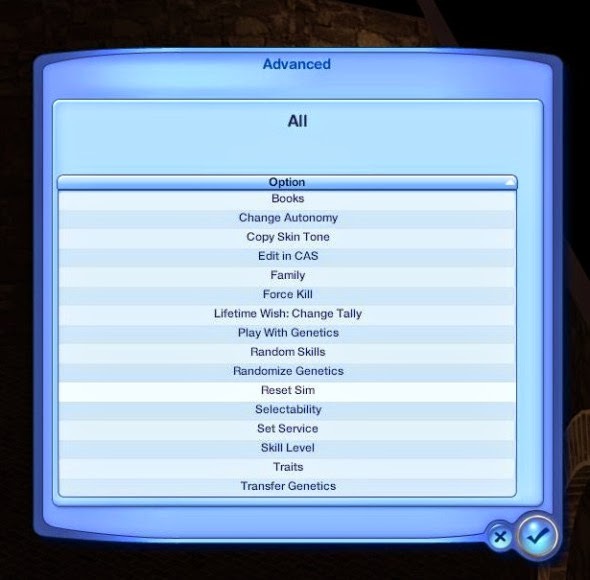 a) the CC you’ve downloaded is meant for Sims 2, instead of Sims 3. Unfortunately, the files look exactly the same, so you’ll have to check it on the website you’ve downloaded it from. b) you have duplicate packages in your mods folder. It doesn’t mean they have the same name – it means, that they contain the resources, that override one another. Like two packages containing the same pose, but one with pose list and one without. Use S3PE to open up packages, to see if they have duplicate entries, but many CC doesn’t show their names. Then the only way is to look through your mods folder and guess which packages may contain overriding resources. c) a mod you’re using is outdated. Always check for the patch level the mod is compatible with. If the mod is outdated it may cause many errors in your game, as it can override the up to date data from your installed game with it;s own, outdated files. In this case you have to either find the updated mod or remove it completely. Screenshots – if you plan on keeping the screenshots. You don’t need to put them back in game. 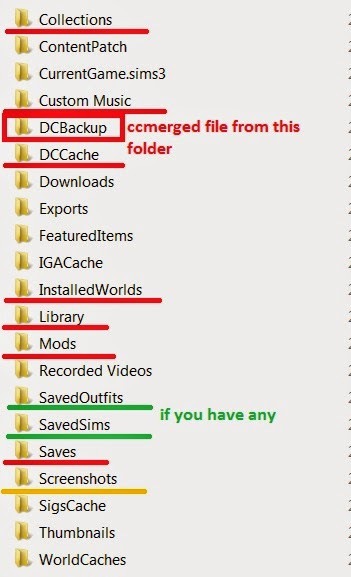 Once you’ve made your backup and deleted the Sims 3 folder from the Documents simply launch the game. See if it works this clean as it is. If it does, you can start putting back the backed up folders – but don’t do it all at once!. In the first step, put back DCBackup/ccmerged file, DCCache, InstalledWorlds and Library. Launch the game. Check if all the EA store content you own is present and working – objects, worlds, premium content. If it is all right, close the game. Next put back Saves folder and launch the game again. You may just put the most recent one back and store others on some other drive – it will save place on your C: drive and believe me, it is iimportant. Load the saved game.You will most probably get the message, that there are some objects missing and will be replaced – it’s because you haven’t put back the mods folder again. Ignore the message for now and check if the game loads, the sims have interactions and so on. Whatever you do, DON’T SAVE THE GAME at this point! If you do, all the replaced objects will stay replaced – if like me you’re using tons of CC then you’ll spend next month reediting everything just to bring back all your CC in your world and sims. Lastly, put back your Mods folder. If you suspected one or more mods of being the main cause of the game crashing – don’t put them in yet. Launch the game, load the saved file. If it works, that great. If not, try finding the mod that caused the crash. If the game just suddenly stopped working and that was why you started the reinstall, your best guess is the mod you’ve put in there just recently. If you can’t remember, than you” have to do it by loading the game with one or only few mods at a time.